You're shopping for a home loan and you want the lowest possible mortgage rate. That makes sense: Your interest rate goes a long way to determining the size of your monthly mortgage payment. The lower your rate, the lower your payment. You already know that your three-digit FICO credit score is a major factor in determining the interest rate attached to your loan. But you might not know that lenders consider several other factors, everything from the size of your down payment to the length of your loan, when calculating an interest rate for you. "There are many factors that can impact the rate on a mortgage besides credit score," said Peter Grabel, managing director with Luxury Mortgage Corp. in Stamford, Connecticut. "While some banks simply offer one rate, others determine rate based on a combination of factors." If you want the lowest rate, then, there are several steps you can take to help nab it. Say you take out a 30-year fixed-rate mortgage loan of $200,000. If your interest rate is 3.95 percent, your monthly payment, not counting property taxes and homeowners insurance, would be about $949. If the rate on that same loan is instead 4.95 percent, that payment would jump to about $1,067, a difference of about $118 or $1,416 a year. It's important, then, to understand what goes into your interest rate to make sure that you take the steps to qualify for the lowest one possible. Most borrowers know that credit scores play a key role in your rate. If your FICO score is 740 or above, you'll usually qualify for some of the lowest interest rates. If it's lower than that figure, your rates will be higher because lenders view you as more of a risk to miss payments. Before you apply for a loan, you want to check your credit scores, which you can buy for about $15 from the credit bureaus of Experian, Equifax and TransUnion. If your scores are low, you might want to hold off until you can boost them, by paying your bills on time and cutting down on your credit-card debt, before you apply for a mortgage. The next most important factor in determining your interest rate is the size of your down payment. When you come up with a larger down payment, you are also financing a smaller percentage of your home, resulting in a lower loan-to-value ratio. For instance, if you put down 5 percent on a home costing $200,000, you are financing $190,000 of your home's purchase price, or 95 percent of it. If you instead come up with a down payment of 20 percent, you are financing $160,000 of your home's purchase price, or 80 percent of it. Lenders consider you less of a risk to stop making mortgage payments if you've already invested a greater share of your own money into your home. Because of this, they can give you a lower interest rate. "Taking FICO off the table, the one figure that has a real, common impact on a rate is the loan-to-value ratio," said Greg Fischer, vice president of Pinnacle Mortgage Corp. in Manchester, New Hampshire. "Financing of 95 percent has different price adjusters than 90 percent, while 80 percent is different still. Most lenders use a matrix for credit score and loan-to-value ratio to determine what price adjusters apply." 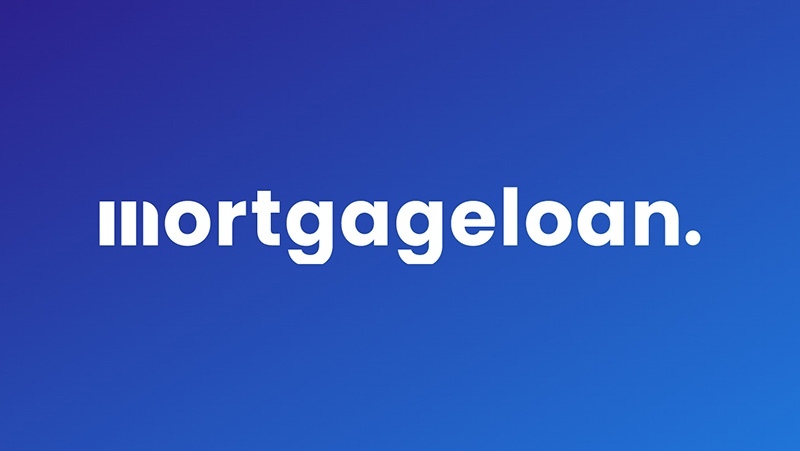 The traditional 30-year fixed-rate mortgage loan comes with lower monthly payments because your repayment period is stretched out over such a long period of time. But 30-year fixed-rate loans also come with higher interest rates. That's because loans with longer terms usually come with higher rates. If you want the lowest interest rate, you should explore a shorter-term loan such as a 15-year fixed-rate loan. According to the Freddie Mac Primary Mortgage Market Survey, the average interest rate on a 30-year fixed-rate mortgage stood at 3.58 percent as of May 19. The average rate on a 15-year fixed-rate mortgage was 2.81 percent. You can also qualify for a lower interest rate depending on the type of mortgage you take on, fixed versus adjustable. As the name suggests, the interest rate in an adjustable-rate mortgage can change. Usually, the rate with an adjustable-rate loan is fixed for a set number of years, often seven. After the fixed period ends, the rate can adjust according to whatever financial index to which the loan is tied. The risk with adjustable-rate mortgages is that, depending on economic conditions after the fixed period ends, the rate can adjust to a much-higher level. Fixed-rate loans come with more certainty; you always know what your interest rate will be. The benefit of adjustable-rate mortgages is that they start out with rates that are lower than those attached to fixed-rate loans. According to the Freddie Mac Primary Mortgage Market Survey, the average interest rate on a five-year treasury-indexed adjustable-rate mortgage stood at 2.80 percent on May 19. Another important number when determining interest rates is your debt-to-income ratio. Lenders want your total monthly debts, including your estimated new mortgage payment, to equal no more than 43 percent of your gross monthly income. The lower your debt-to-income ratio is, the better your odds of qualifying for a lower interest rate. If you really want a lower interest rate, you can pay for it in the form of mortgage points. These are fees that you pay to your lender in exchange for a lower interest rate. A point is usually equal to 1 percent of your mortgage amount. If your loan is $200,000, it would cost you $2,000 to buy a point. Your lender might offer you an interest rate of 4.25 percent with no points, but one of 3.75 percent if you are willing to buy a point. Most lenders require that you establish an escrow account to pay your property taxes and homeowners insurance. Every month, you'll pay a bit extra with your mortgage payment. Your lender will funnel that money into your escrow account and then dip into the account to pay your tax and insurance bills for you. Some lenders, though, give you the option of paying these bills on your own with no escrow account. Grabel said that when you elect to go without an escrow account, you'll often be charged a slightly higher interest rate. Once you are approved for a mortgage loan, you can lock in your mortgage rate. This way, if rates rise before your loan officially closes, a process that can take 30 days or longer, your rate will remain locked in place. Grabel said that most loans are priced based on a 60-day lock period. If you instead go with a 30-day lock, you might qualify for a slightly lower interest rate. You do take a chance, though. If your loan doesn't close within 30 days, your lock will expire, and your interest rate could rise before you sign your closing documents.